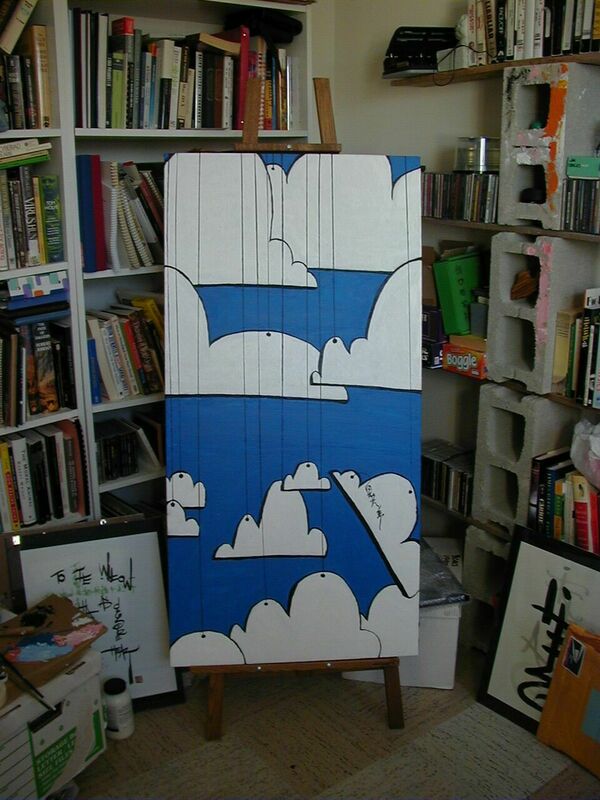 Cloudboards are clouds that are flat panels that hang from the sky. The Sky Has Character by Jim Davies. Acrylic on Canvas, 2004. The negative space in this image forms a rough version of the Chinese character for cloud. The broken string in this image forms my Chinese name.